I recently ordered Julep Estelle which is a gorgeous black glitter with scattered holo and as soon as I got it I knew I had to use it for a galaxy mani. It's technically the base to this look but with all the other colours and glitters I packed in on top you can't really tell! I used a wide variety of shades to get this look including Sinful Colors Snow Me White, Sinful Colors Hazard, China Glaze Bizarre Blurple, China Glaze Man Hunt, and I'm certain there were even more but I didn't keep track. I topped it all of with a layer of China Glaze Fairy Dust (because of course) and the thing that really pulls this look together is China Glaze Make a Spectacle which is a stunning iridescent glitter that adds a variety of coloured "stars" depending on the angle. I love love love how this turned out, and I love how all the glitter gives the impression of miles and miles of stars... I really need to use Make a Spectacle more often! 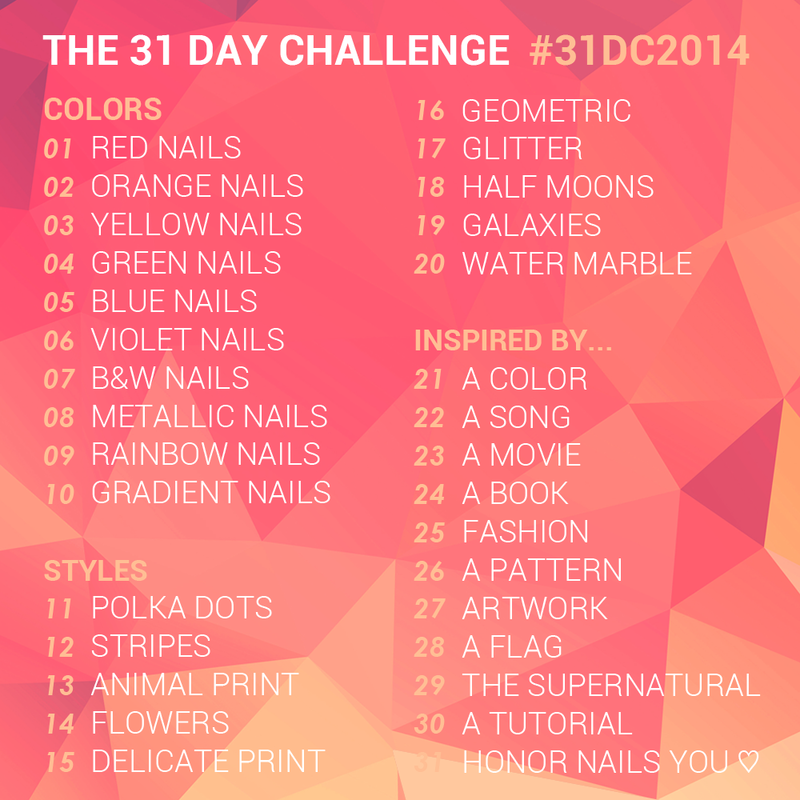 Everyone did awesome looks for today from what I've seen so far, so if you have time please do take a look at the other fills for Day 19: Galaxies below! Thanks for all your thoughts and encouragement yesterday, I really do feel a whole lot better today! Hope you all have fabulous weekends! Beautiful! 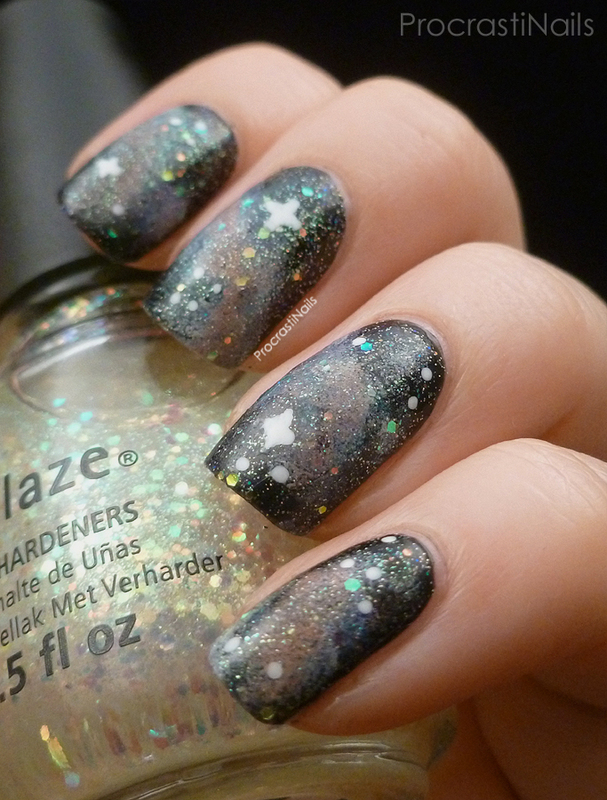 I love galaxy nails too. They are stunners! YEAH girl! Love it! Looks so space-y! Beautiful! I'm with you - the best part of doing a galaxy is that it's nearly impossible to mess up! 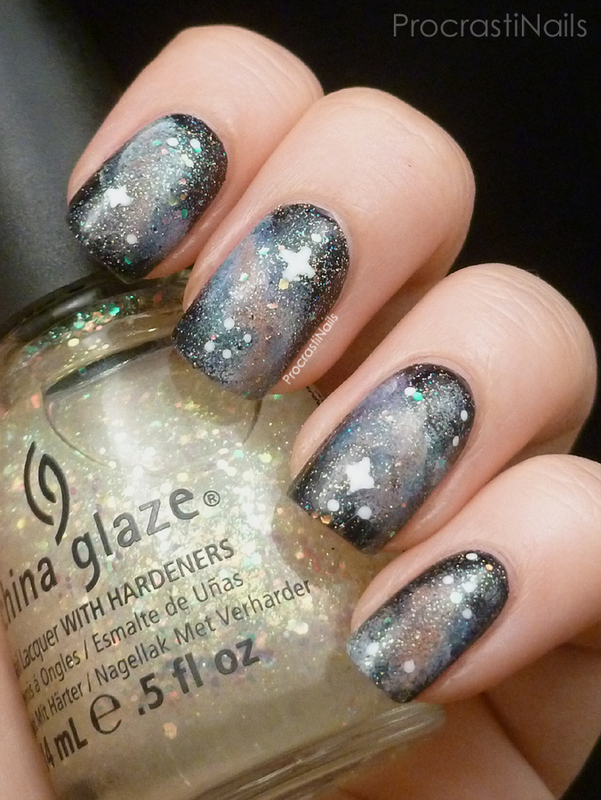 What pretty galaxy nails these are! Love the glitter. Beautiful! 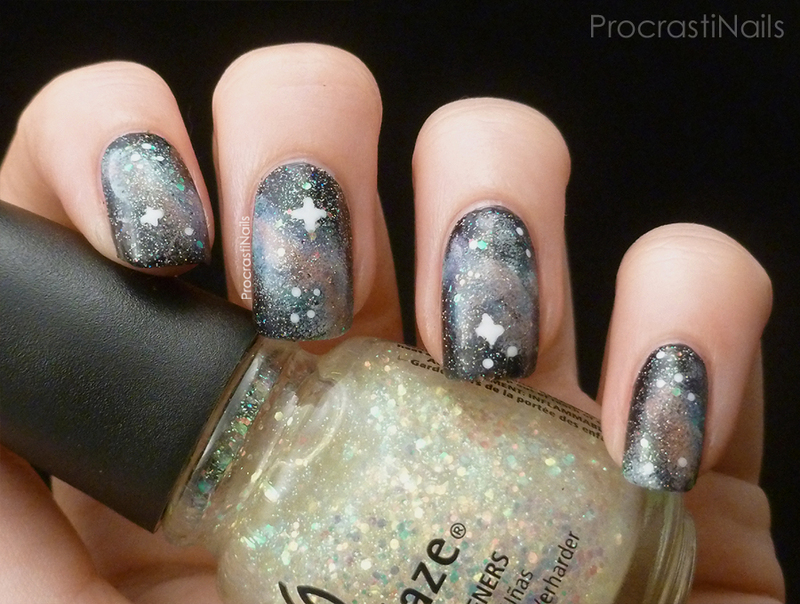 I loooove galaxy nails! Make a spectacle is awesome on this manicure. You've done a really lovely job!